Willowbrook Rotary Board of Directors for the 2014/2015 club year were installed on June 12. Incoming President David Thompson was installed by incoming District Governor Lisa Faith Massey. Club Officers installed included Treasurer Randy Thompson, President Elect Massy Williams, Secretary Massy Williams, Foundation Chair John Maxwell, Publicity Chair John Mitchell, Vocational Service Director Rubin Santos, Programs Chair Bob Ullom. Not Present was International Service Director Anais Watsky and Community Service Director David Smith. 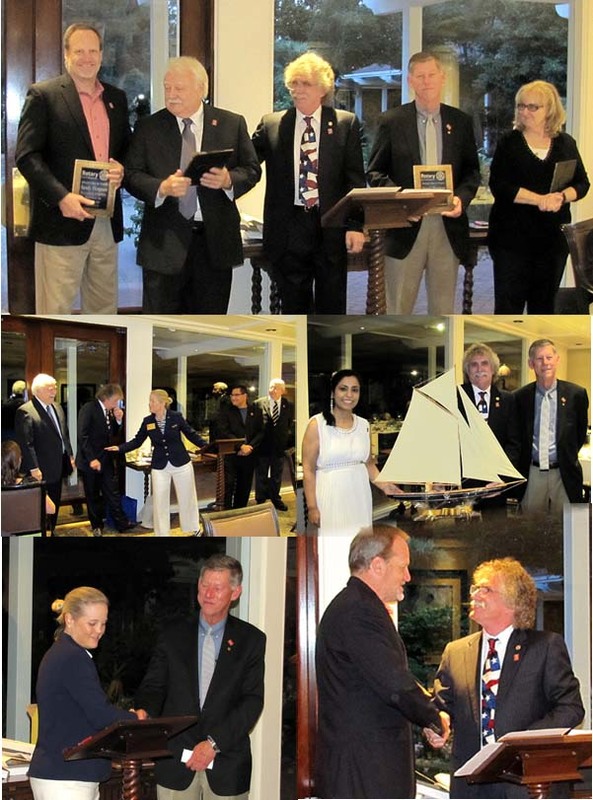 Past President John Maxwell was presented a model sailboat as a thanks from the club for his service. This past year was the second time John has served as President.